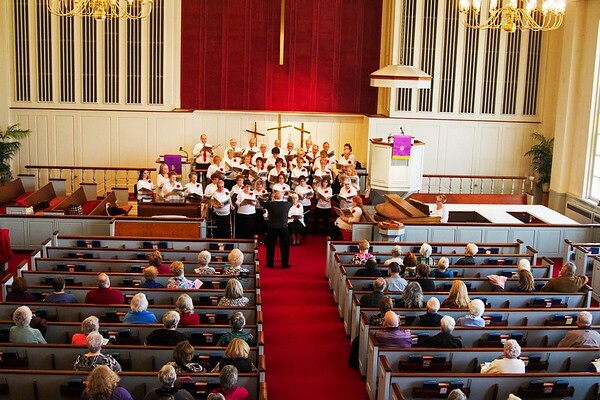 Church members and Lewiston residents filled the pews of the First Presbyterian Church in Lewiston for the Lewiston Choraleers Saturday afternoon. The Lewiston Choraleers presented A Journey of Hope, A Cantatata Inspired by Sprituals by Joseph Marting. The concert was directed by Donald Shrimpton. The Choraleers were accompanied by Lynda Williams.